The comfy office-style chairs swivel and roll, allowing students to form groups or turn their attention to different tasks. Work tables around the room foster collaboration, providing each small group with its own large-screen monitor, whiteboard and laptop connectivity. 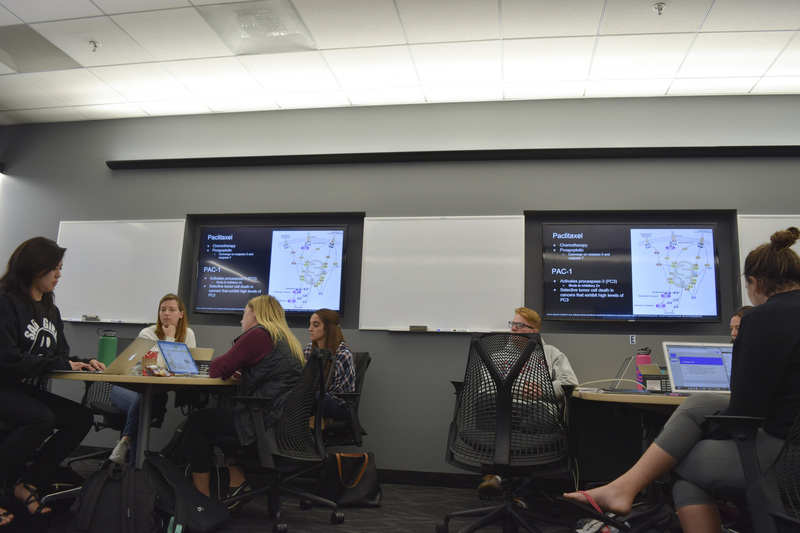 In front, the professor can display a graphic or video on the big screen while working simultaneously on whiteboards, moving to other screens and boards around the room as explanations unfold in conversation with students. Located in Beckman Hall and the Leatherby Libraries basement, these are two of Chapman University’s first Active Learning Classrooms — technology-rich, student-centered spaces that are part of a movement on university campuses meant to enhance the ways knowledge is acquired and retained. Inside the Active Learning Classroom that opened last spring in Beckman Hall, technology is even more on display. The Sims Shen Data Analytics Lab contains 16 Exxact high-performance computing systems and its own high-end server with a dedicated file storage device. The state-of-the-art facility is a result of the generous $200,000 gift of the Sims Shen family. 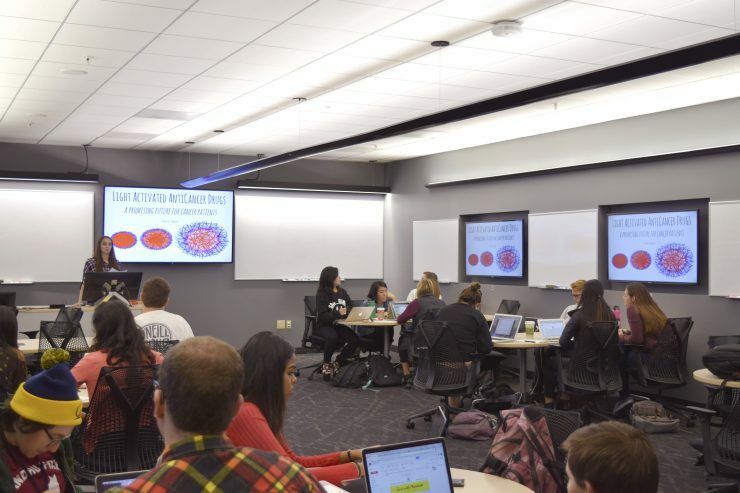 The concepts behind Active Learning Classrooms are not new, but they are spreading among universities around the country. And although the two rooms on Chapman’s Main Campus seat about 30, the Rinker Health Science Campus already has one Active Learning space that can hold more than 100 students, with plans for a second. Keeping students closer to the instructor is a priority in many designs. The benefits are many. In the Cancer Biology class — co-taught by Marco Bisoffi, Ph.D., associate professor of molecular biology, and Melissa Rowland-Goldsmith, Ph.D., instructional associate professor of molecular biology – students studied data and images from a clinical trial for a prostate cancer drug. Bisoffi displayed it on the front monitor, but also on the monitors at individual tables. If asked, groups could then use that data to work on a joint PowerPoint presentation, or display a work-in-progress from one student’s laptop on the table’s big screen. The lab, Linstead notes, is not only a better classroom: It no longer feels like one. As much as the classrooms offer a different way to learn, they also demand a different way of teaching, with all sorts of possibilities once a classroom is liberated from the limits of row after row of desks. Even in its simplest forms, movement makes a difference. 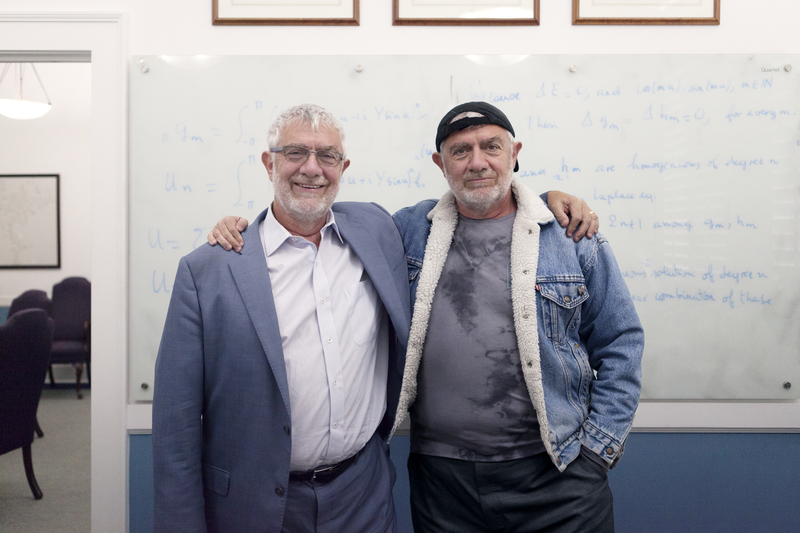 “One part of your lecture and comments can be on one board, and one part on the other,” said Kenneth Murphy, Ph.D., associate provost of academic administration as well as an associate professor in the Argyros School of Business and Economics. 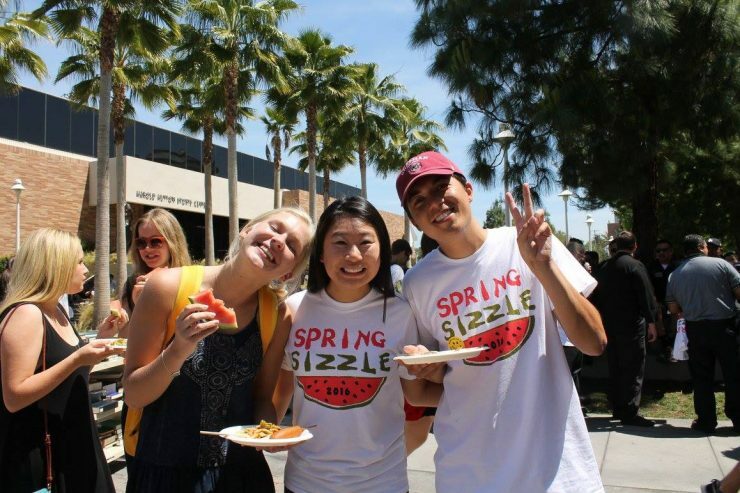 Murphy, who has the enviable task of deciding which professors and classes will be lucky enough to use the rooms, looks forward to adding more innovative spaces at Chapman.